"Sampath Speaking" - the thoughts of an Insurer from Thiruvallikkeni: Young GM Eliseev dies trying parkour !! The 2016 FIDE World Chess Championship is a 12-game match between Norwegian World Champion Magnus Carlsen and his Russian challenger, Sergey Karjakin. They are playing in the Fulton Market building in the Seaport District of Lower Manhattan, New York, beginning on November 11 and ending on November 30, if tiebreaks are required. The prize fund is at least 1 million euros, with the winner taking 60%, or 55% if the match goes to tiebreaks. The players have 100 minutes for 40 moves, then 50 minutes for 20 moves, then 15 minutes to the end of the game, with a 30-second increment from move 1. The first player to reach 6.5 points is the winner, with a 6-6 tie decided by four 25 minute + 10 second/move rapid games. If still tied two 5+3 games are played, then another two 5+3 if needed, then finally an Armageddon game, where White has 5 minutes to Black's 4, but a draw will make the black player World Champion. Magnus Carlsen and Sergey Karjakin are keeping the chess world on edge of their seats. A draw in the 11th round has left the finalists tied with 5.5 points each going into Monday's final. Carlsen, who is 25, was already regarded as the world’s best player even before he saw off Anand for the championship in Chennai three years ago and is the closest thing to a star in the sport today. He’s done ads for Porsche, modelled for G-Star Raw alongside Liv Tyler and Lily Cole and enjoys a massive presence in his native Norway, where NRK is broadcasting the games in prime time. Karjakin, 26, earned the right to challenge for the title in March by making it through the Candidates Tournament in Moscow, where he defeated a series of higher-ranked opponents, among them Brooklyn’s Fabiano Caruana. 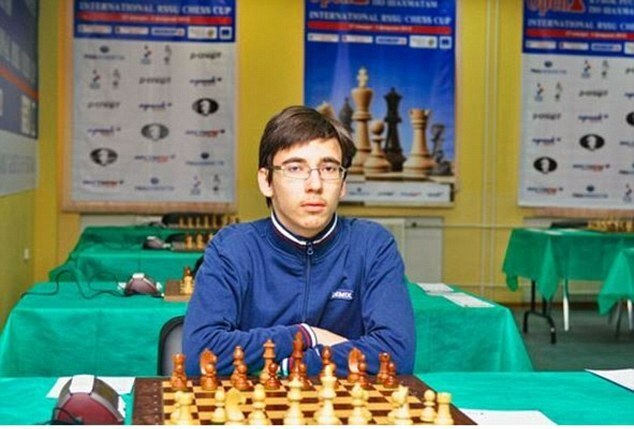 He was born in Ukraine, where he became an international grandmaster at 12 years old (a record that still stands), but adopted Russian citizenship in 2009. He is married with a son, an avowed supporter of Vladimir Putin and the invasion of Crimea, and speaks with a stutter that surfaces more in English than his native tongue. He is ranked ninth in the world. Ever heard of ‘Parkour’ ?? ~ a training discipline using movement that developed from military obstacle course training. Practitioners aim to get from one point to another in a complex environment, without assistive equipment and in the fastest and most efficient way possible. Parkour is an activity that can be practiced alone or with others and is usually—but not exclusively—carried out in urban spaces. Parkour was developed in France, primarily by Raymond Belle, and further by his son David Belle and his group of friends, the self-styled Yamakasi, during the late 1980s. A young chess grandmaster fell to his death in an apparent parkour accident, after he attempted to jump between balconies in Moscow. According to Russian news reports, 20-year-old Yuri Eliseev died late on Saturday night after falling from the 12th floor of his apartment building in Moscow. Eliseev was the world under-16 chess champion in 2012 and was given grandmaster status at age 17. The reports said Eliseev died while trying to reach the balcony of a neighbouring apartment. He was described as a practitioner of parkour, or free-running, which involves climbing, jumping to difficult perches and acrobatic moves. Close friend and fellow chess player Daniil Dubov wrote on his Facebook page: 'That night was tragically killed a close friend, a brilliant chess player and an analyst, one of the most talented people I know.' Others added their tributes to Eliseev after reading about the tragic news. Tributes poured in for Eliseev, 20, who was named the world under-16 chess champion in 2012 - it has also been implicated in the deaths of youngsters trying to participate in the high-risk activity. Earlier this year, a 13-year-old plunged 100ft to his death from a tower block in Russia after he attempted a daredevil parkour stunt. The teenager - named only as Tolya in local media - had been showing off to friends dangling by his fingertips from the ninth floor of a derelict building, according to police in Saratov, south-western Russia. But as he tried to haul himself back up, one of the bricks he was holding gave way and he plummeted to the concrete path below.